Many factors are weighed in determining how much your insurance company will charge you in terms of premiums for your home insurance. An understanding of these factors can help you to know how to manipulate them to your advantage, so that you get a cover at the lowest price possible. There may be some elements which are increasing your insurance premiums that you might not be able to change that easily, such as the risk in your neighborhood. Moving to a new location is usually a huge undertaking for most people, especially when they are living in their family homes. 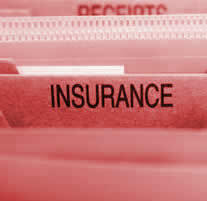 Insuring against burglary sure does put on the heavyweight to lessen the price tag of the insurance policy. Well, the cost of that will be reduced significantly if you just show your insurance company that you are doing something to deter them. Installing an alarm system in your home can get you a cut of up to 5% on your rates, so do having deadbolts and locks installed in your doors. Have a highly sophisticated alarm system set up; you will see price cuts of up to 20% in your premiums depending on your insurance company. Make sure you consult with them first before you pour out all your money into that though! Another key thing that you want your home insured against is fire. Statistics show that most fatal fires occur in homes without a smoke detection system, since that would have raised an alarm before the fire got out of hand. It does make perfect sense that you should install a smoke alarm system in your home then, does it not. Installing smoke detectors will not only make your house safer, it guarantees another 5% off on premiums. Having fire extinguishers strategically placed in every floor of your house or in every room should also get you good discounts on your premiums. Most water damage in homes occurs not because of external forces causing water to invade your home but simply, poor plumbing systems. Upgrade your plumbing systems; you should be able to get a 10% discount on your homeowner’s insurance premiums. Plumbing systems should be upgraded every 10 years or so. Another nice touch you could add is to upgrade your home’s wiring connections as well. This is good for you and good for your premiums too. Fortify your home to make it more impact resistant and you will reap the benefits. Many things can cause impact on your house structure. Think of someone hurling a rock through your window or a severe storm attacking your roof. Invest in shatterproof windows and cover your roof with impact resistant substances to guard against such likelihoods. Protecting your home against this will lower your insurance risk and thus your premiums. 5. Get rid of those liabilities! Just think about it, do you really need to have a swimming pool in your backyard? It might seem like fun but a swimming pool increases the amount of risk you are exposed to in the home, and it will cause you to pay much, much more in terms of your home insurance premiums. A pitbull is another such liability that you ought to reconsider. Thousands of dollars are paid every year to people claiming compensation for pitbull bites, your insurance company does not want to deal with that and if you force them, they will make you pay for it. Chances are that having the dog actually puts you more at risk rather than guaranteeing your safety. Where you live might be a liability as well. If you are not too attached to the area, you should really consider moving if it is labeled a high-risk zone. The move will not only lower your home insurance premiums, it will lower your life insurance rates as well. As you can see, setting lower home insurance premiums is as easy as showing your insurance company that you are taking steps to guard against some of the main risks that you are facing. Follow these 5 simple rules and you will see the difference for yourself! Emma Parkes offers useful ideas on home improvement and interior design. To learn more you can follow her on twitter and learn more.